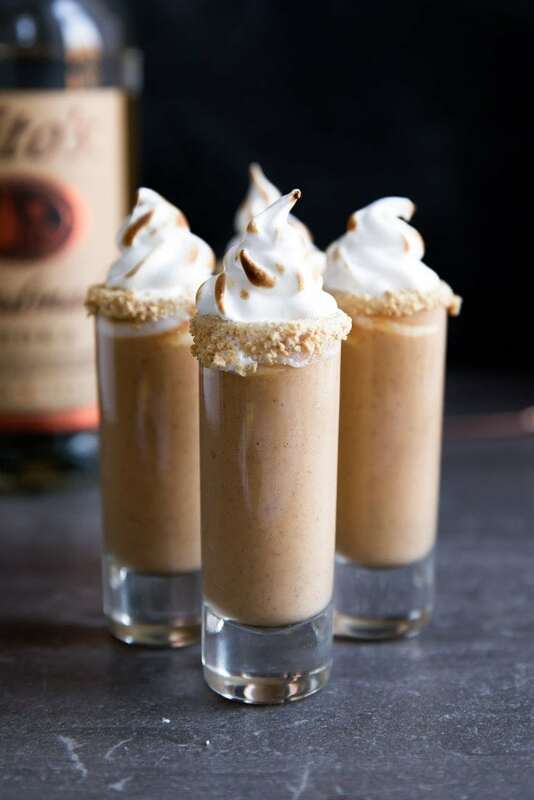 Pumpkin pie gets a delicious twist in these Boozy Pumpkin Pie Shooters! Can we talk about pumpkin pie for a second? How I absolutely love it, but all I want is the filling and not the crust? It’s what drove me to create my Pumpkin Pie White Chocolate Brownies and Boozy Pumpkin Milkshake. I want all the taste of a creamy pumpkin treat without the crust. Call me a pumpkin elitist. Call me a holiday renegade. I don’t care. I love my pumpkin and my pumpkin only. So any time I create a pumpkin recipe, I go for things that just scream HELLO I AM PUMPKIN. And in the case of these shooters, I couldn’t help but put in some vodka. There’s something so decadent about pumpkin + booze. Now, vodka isn’t my number one liquor choice. I find it has a strong bite to it that doesn’t sit well with me. So I’m picky about my vodka. I want something that tastes clean and goes down easy. 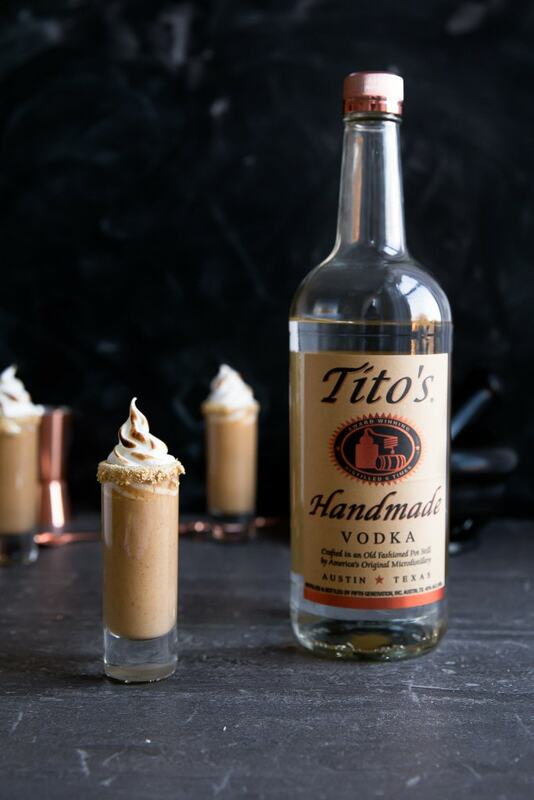 From working in the restaurant industry, I’ve gotten to taste countless vodkas, and Tito’s Handmade Vodka has been my top choice for years. I love how unpretentious Tito’s is, and how freaking good their product is. Having that low key attitude with a product that shines is the quickest way to get to my heart. And it’s a perfect choice when you want that pumpkin to shine like the star it is. To get the complete pumpkin pie experience, I called on my friend eggnog to spice things up. It provides the exact creamy, spiced, and custard-y flavor I needed to make this a true Pumpkin Pie Shooter. 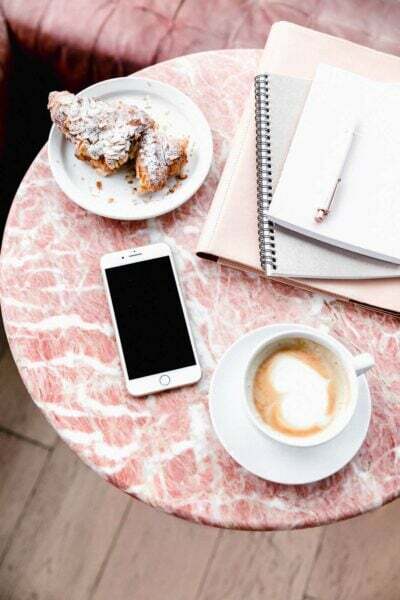 And can we talk about how you get dessert and a little nightcap all in one? Now that’s my kind of party! In a cocktail shaker with ice cubes, combine eggnog, vodka, pumpkin puree, and cinnamon. Strain into 6 shooter glasses. 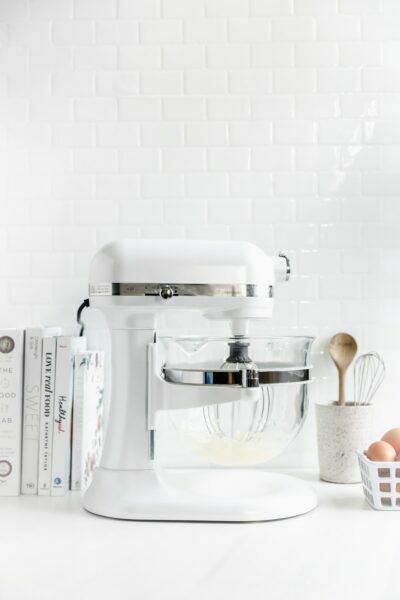 To make the meringue, whisk egg whites and sugar using an electric mixer until stiff peaks form. Place into a piping bag fitted with a medium star tip and pipe over the top of the shooters. Use a torch to lightly caramelize the meringue. Serve immediately. Pumpkin and booze? You know I’m all over that! 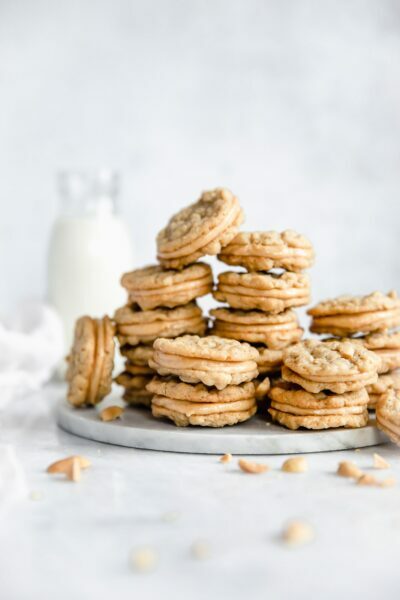 Sounds so good with a bit of eggnog and that meringue topping is just the perfect way to set that shooter off! Titos? I’ve not tried it, but hear it’s the one… need to give it a go! Thank you for this my dear! I like your style, lady. So the recipe makes 6. Would it be bad if I had all 6? 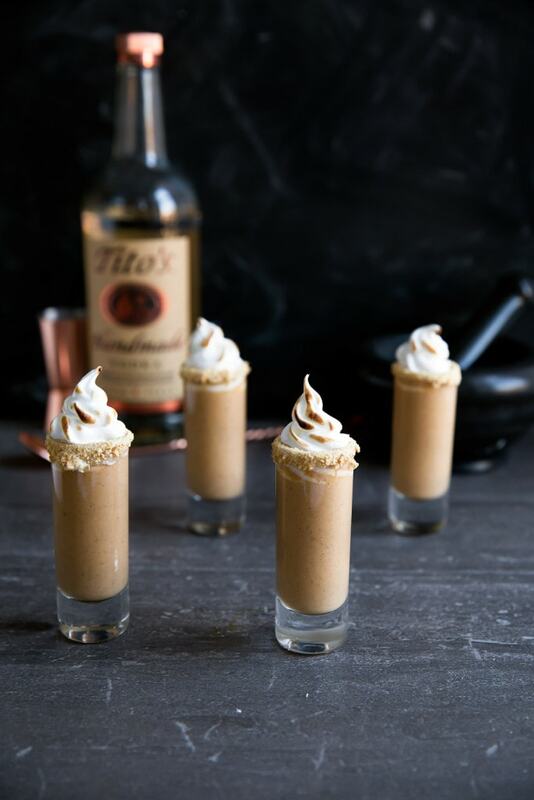 Punkin pie shooters are everything! I love the mix of eggnog in the pumpkin for a delicious holiday flavor. I’m also really picky about my vodka so I’m glad to know that Titos is a brand I can try! Thank you Amanda! They’re almost too easy. And hope you like Tito’s! I have a feeling this is going to leave us wanting pumpkin pie in no other form than this! Yum, these shooters look so delicious!